Art: Royal Watercolor Society is an art community in London. 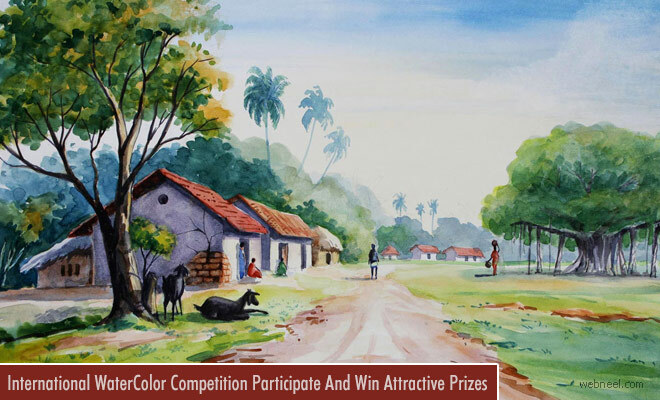 They conduct annual watercolor competitions and give away amazing prizes. The Royal Watercolor Society is one of the oldest art communities and it was established in 1804 to inspire all young artists. You are welcome to be creative and innovative with watercolors with paper as a medium. You can use watercolour, acrylic, gouache, pen & ink and watercolour mixed media on paper. The winning watercolor paintings will be exhibited at Bankside Gallery, London during 2nd - 14th March 2018. There is an entry fee of $19 per entry and for students $6.79 per entry.